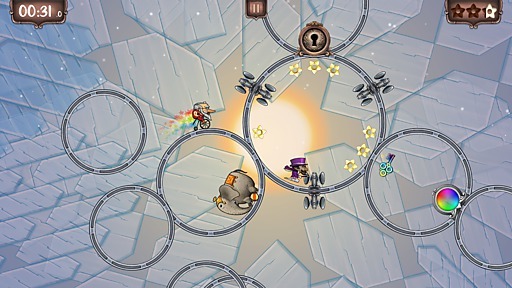 MONTEVIDEO, URUGUAY (October 10, 2013) – Independent game developer Kalio welcomes players under its big top as Ring Run Circus, its new arcade puzzle game is available to play for iPad, iPhone and iPod Touch. Players ready for the high wire act of the world’s first ring-former can join in the fun via the App Store. Visit the game’s presskit for more information about Ring Run Circus: http://www.ringrun.com/presskit/. Copyright © 2013 Kalio, All rights reserved.